On October 31, 1517, Martin Luther nailed his now famous 95 Theses to the door of the All Saints’ Church in Wittenberg, Germany. In doing so, Luther was launching a reformation in how the church understood the gospel of Christ’s grace for salvation. In 2010, over three dozen biblical counseling leaders gathered together to launch the Biblical Counseling Coalition (BCC). Over the next nine months, they crafted ten drafts of what became the BCC’s Confessional Statement. In doing so, they were seeking to capture in summary form how the church understands the gospel of Christ’s grace for sanctification and one-another ministry—applying the gospel to daily Christian living. So, it seems only natural for me to combine my appreciation for Luther’s pastoral counseling and my involvement in facilitating the BCC’s Confessional Statement into this document: 95 Affirmations for Gospel-Centered Counseling. In this document, I’ve taken the BCC’s Confessional Statement and divided it into 95 positive affirmations or thesis statements. My prayer is that you might find these summaries to be a helpful presentation of what it means to apply Christ’s grace to daily living through the personal ministry of the Word—gospel-centered biblical counseling. One of my fellow BCC Council Board Members, Dr. Heath Lambert, recently released his 95 Theses for an Authentically Christian Commitment to Counseling. I’d encourage you to read Dr. Lambert’s work. Gospel-centered counseling focuses on a central question: “What does it mean to counsel in the grace and truth of Christ?” (John 1:14). Gospel-centered counseling flows from our calling to equip God’s people to love God and others in Christ-centered ways (Matthew 22:35-40). The vision for gospel-centered counseling is for the entire church to speak gospel truth in love (Ephesians 4:11-16). Gospel-centered counseling is dedicated to developing the theology and practice of the personal ministry of the Word, whether described as biblical counseling, pastoral counseling, personal discipleship, one-another ministry, small group ministry, cure of souls, soul care, spiritual friendship, or spiritual direction. The goal of gospel-centered counseling is spiritual, relational, and personal maturity as evidenced in desires, thoughts, motives, actions, and emotions that increasingly reflect Jesus (Ephesians 4:17-5:2). Personal change must be centered on the person of Christ (Colossians 1:27-29). We are convinced that personal ministry centered on Christ and anchored in Scripture offers the only lasting hope and loving help to a fallen and broken world (Colossians 2:1-9). All Christian ministry arises from and is anchored in God’s revelation—which is both the written Word (Scripture) and the living Word (Christ). This is true for the personal ministry of the Word (conversational and relational ministry which our culture calls “counseling”) and for the various public ministries of the Word. In light of this core conviction about Christ-centered, Word-based ministry, we affirm the following central commitments as gospel-centered counselors. We believe that God’s Word is authoritative, sufficient, and relevant (Isaiah 55:11; Matthew 4:4; Hebrews 4:12-13). The inspired and inerrant Scriptures, rightly interpreted and carefully applied, offer us God’s comprehensive wisdom. We learn to understand who God is, who we are, the problems we face, how people change, and God’s provision for that change in the Gospel (John 8:31-32; 10:10; 17:17). No other source of knowledge thoroughly equips us to counsel in ways that transform the human heart (Psalm 19:7-14; 2 Timothy 3:16-17; 2 Peter 1:3). Other systems of counseling aim for other goals and assume a different dynamic of change. The wisdom given by God in His Word is distinctive and robust. God comprehensively addresses the sin and suffering of all people in all situations. Gospel-centered counseling is an insightful application of God’s all-embracing truth to our complex lives (Romans 15:4; 1 Corinthians 10:6; Philippians 1:9-11). It does not merely collect proof-texts from the Bible. Wise counseling requires ongoing practical theological labor in order to understand Scripture, people, and situations (2 Timothy 2:15). We must continually develop our personal character, case-wise understanding of people, and pastoral skills (Romans 15:14; Colossians 1:28-29). When we say that Scripture is comprehensive in wisdom, we mean that the Bible makes sense of all things, not that it contains all the information people could ever know about all topics. God’s common grace brings many good things to human life. However, common grace cannot save us from our struggles with sin or from the troubles that beset us. Common grace cannot sanctify or cure the soul of all that ails the human condition. We affirm that numerous sources (such as scientific research, organized observations about human behavior, those we counsel, reflection on our own life experience, literature, film, and history) can contribute to our knowledge of people, and many sources can contribute some relief for the troubles of life. However, none can constitute a comprehensive system of counseling principles and practices. When systems of thought and practice claim to prescribe a cure for the human condition, they compete with Christ (Colossians 2:1-15). Scripture alone teaches a perspective and way of looking at life by which we can think biblically about and critically evaluate information and actions from any source (Colossians 2:2-10; 2 Timothy 3:16-17). We believe that wise counseling centers on Jesus Christ—His sinless life, death on the cross, burial, resurrection, present reign, and promised return. Through the Gospel, God reveals the depths of sin, the scope of suffering, and the breadth, length, height, and depth of grace. Gospel-centered counseling gets to the heart of personal and interpersonal problems by bringing to bear the truth, mercy, and power of Christ’s grace (John 1:14). There is no true restoration of the soul and there are no truly God-honoring relationships without understanding the desperate condition we are in without Christ and apart from experiencing the joy of progressive deliverance from that condition through God’s mercies. Gospel-centered counseling points people to a person, Jesus our Redeemer, and not to a program, theory, or experience (John 14:6). We place our trust in the transforming power of the Redeemer as the only hope to change people’s hearts, not in any human system of change (John 2-4). People need a personal and dynamic relationship with Jesus, not a system of self-salvation, self-management, or self-actualization (John 14:6). Gospel-centered counselors seek to lead struggling, hurting, sinning, and confused people to the hope, resources, strength, and life that are available only in Christ. We believe that gospel-centered counseling is fundamentally a practical theological discipline because every aspect of life is related to God. God intends that we care for one another in ways that relate human struggles to His person, purposes, promises, and will. Wise counseling arises from a theological way of looking at life—a mindset, a worldview—that informs how we understand people, problems, and solutions. The best gospel-centered counselors are wise, balanced, caring, experienced, practical theologians (Philippians 1:9-11). Gospel-centered counselors seek to relate the Scriptures relevantly to people’s daily lives and relationships (Hebrews 3:12-19). All wise counseling understands particular passages and a person’s unique life experience within the context of the Bible’s larger story-line: God’s creation, our fall into sin, His redemptive plan, and the consummation of all things. 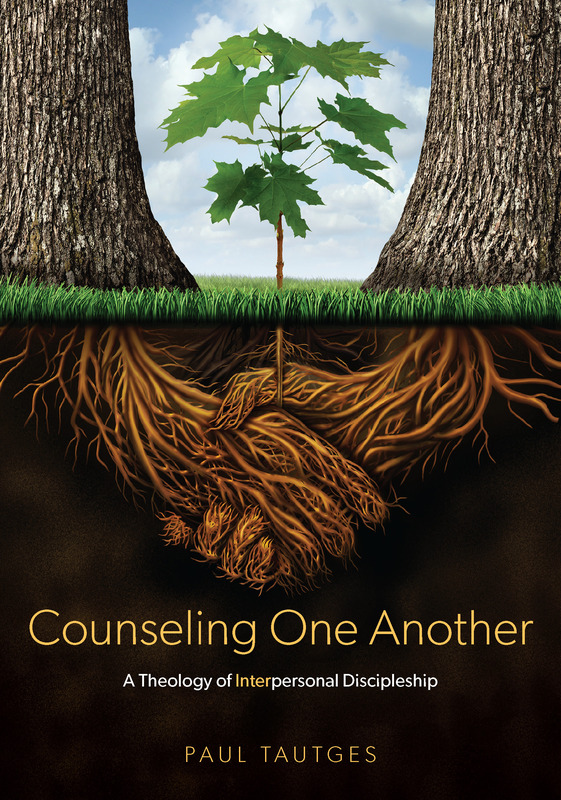 Thus gospel-centered counselors engage in person-specific conversations that flow naturally out of a comprehensive biblical theology of life. We believe that both genuine change of heart and transformation of lifestyle depend upon the ministry of the Holy Spirit (John 14:15-16:16; 2 Corinthians 3:17-18). Gospel-centered counselors know that it is impossible to speak wisely and lovingly to bring about true and lasting change apart from the decisive, compassionate, and convicting work of the Spirit in the counselor and the counselee. We acknowledge the Holy Spirit as the One who illuminates our understanding of the Word and empowers its application in everyday life. Wise counselors serve in the truth that God reveals and by the strength that God supplies. By the Spirit’s work, God receives glory in all the good that takes place in people’s lives. Gospel-centered counselors affirm the absolute necessity of the work of the Holy Spirit to guide and empower the counselor, the counselee, and the counseling relationship. Dependent prayer is essential to the work of gospel-centered counseling (Ephesians 6:18-20). Wise counselors humbly request God’s intervention and direction, praise God for His work in people’s lives, and intercede for people that they would experience genuine life change to the glory of God (Philippians 4:6). We believe that gospel-centered counseling should be transformative, change-oriented, and grounded in the doctrine of sanctification (2 Corinthians 3:16-18; Philippians 2:12-13). The lifelong change process begins at salvation (justification, regeneration, redemption, reconciliation) and continues until we see Jesus face-to-face (1 John 3:1-3). The aim of gospel-centered counseling is intentional and intensive discipleship. The fruit of gospel-centered counseling is spiritually mature people who increasingly reflect Christ (relationally, rationally, volitionally, and emotionally) by enjoying and exalting God and by loving others well and wisely (Galatians 5:22-6:10). Gospel-centered counseling seeks to embrace the Bible’s teaching regarding God’s role and human responsibility in spiritual growth. God’s strength and mercy call for our response of faith and obedience. A comprehensive theology of the spiritual life provides the basis for applying relevant biblical methods of spiritual growth. Gospel-centered counseling helps believers to understand what it means to be in Christ (Romans 6:3-14). It equips them to apply the principles of progressive sanctification through renewing their minds and actions based on Scripture with a motive of love for God and others (Romans 12:1-2). We believe that we best reflect the Trinity as we live and grow in community (John 17; Ephesians 4). Sanctification is not a self-improvement project, but a process of learning to love and serve God and others. Wise counseling embeds personal change within God’s community—the church—with all God’s rich resources of corporate and interpersonal means of grace (1 Corinthians 12:12-27). We believe that the church should be both the center and the sender of Gospel-centered counseling (Romans 15:14). By example and exhortation, the New Testament commends the personal, face-to-face, one-another ministry of the Word—whether in one-to-one or small group relationships (Hebrews 3:12-19; 10:19-25). God calls the church to mutual wise counseling just as He calls the church to public ministries of the Word in preaching, teaching, worship, and observing the ordinances of baptism and the Lord’s Supper. God desires His people to love and serve each other by speaking His truth in love to one another (Ephesians 4:15-16). The primary and fullest expression of counseling ministry is meant to occur in local church communities where pastors effectively shepherd souls while equipping and overseeing diverse forms of every-member ministry (Ephesians 4:11-14). Other like-minded counseling institutions and organizations are beneficial insofar as they serve alongside the church, encourage Christians to counsel biblically, and purpose to impact the world for Christ. We believe that Christ’s incarnation is not just the basis for care, but also the model for how we care (Hebrews 4:14-16; John 13:34-35). Gospel-centered counselors seek to enter into a person’s story, listening well, expressing thoughtful love, and engaging the person with compassion (1 Thessalonians 2:8). The wise and loving personal ministry of the Word takes many appropriate forms, from caring comfort to loving rebuke, from careful listening to relevant scriptural exploration, all while building trusting, authentic relationships (1 Thessalonians 5:14-15; 1 John 4:7-21). Gospel-centered counseling takes into account all that people experience (desires, thoughts, goals, actions, words, emotions, struggles, situational pressure, physical suffering, abuse, injustice, etc.) All of human experience is the context for understanding how God’s Word relates to life. Such awareness not only shapes the content of counseling, but also shapes the way counselors interact so that everything said is constructive, according to the need of the moment, that it may give grace to the hearer (Ephesians 4:29). We believe that human behavior is tied to the thoughts, intentions, and affections of the heart. All our actions arise from hearts that are worshipping either God or something else; therefore, gospel-centered counseling emphasizes the importance of the heart and addresses the inner person. God fully understands and rightly weighs who we are, what we do, and why we do it. While we cannot completely understand a person’s heart (even our own), God’s Word reveals and penetrates the heart’s core beliefs and intentions (Hebrews 4:12-13). Gospel-centered counseling seeks to address both the inward and outward aspects of human life to bring thorough and lasting change into the image of Christ. The Bible is clear that human behavior is not mechanical, but grows out of a heart that desires, longs, thinks, chooses, and feels in ways that are oriented either toward or against Christ. Gospel-centered counsel appropriately focuses on the vertical and the horizontal dimensions, on the inner and the outer person, on observable behavior and underlying issues of the heart (Matthew 23:23-28). Gospel-centered counselors work to help struggling people to learn wisdom; to love God with heart, soul, mind, and strength; to love one’s neighbor as oneself; and to endure suffering in hope. We believe that gospel-centered counseling should focus on the full range of human nature created in the image of God (Genesis 1:26-28). A comprehensive biblical understanding sees human beings as relational (spiritual and social), rational, volitional, emotional, and physical. Gospel-centered counseling takes the whole person seriously in his or her whole life context. It helps people to embrace all of life face-to-face with Christ so they become more like Christ in their relationships, thoughts, motivations, behaviors, and emotions. Gospel-centered counseling recognizes the complexity of the relationship between the body and soul (Genesis 2:7). Because of this, gospel-centered counselors seek to remain sensitive to physical factors and organic issues that affect people’s lives. In our desire to help people comprehensively, we seek to apply God’s Word to people’s lives amid bodily strengths and weaknesses. Gospel-centered counselors encourage a thorough assessment and sound treatment for any suspected physical problems. Gospel-centered counselors recognize the complexity of the connection between people and their social environment. Thus we seek to remain sensitive to the impact of suffering and of the great variety of significant social-cultural factors (1 Peter 3:8-22). In our desire to help people comprehensively, we seek to apply God’s Word to people’s lives amid both positive and negative social experiences. Gospel-centered counselors encourage people to seek appropriate practical aid when their problems have a component that involves education, work life, finances, legal matters, criminality (either as a victim or a perpetrator), and other social matters. Gospel-centered counselors believe that God’s Word is profitable for dealing thoroughly with the evils we suffer as well as with the sins we commit. Since struggling people usually experience some combination of besetting sin and personal suffering, gospel-centered counselors seek to discern the differences and connections between sin and suffering, and to minister appropriately to both (1 Thessalonians 5:14). Gospel-centered counseling seeks to address suffering and engage sufferers in many compassionate ways. It offers God’s encouragement, comfort, and hope for the hurting (Romans 8:17-18; 2 Corinthians 1:3-8). It encourages mercy ministry (Acts 6:1-7) and seeks to promote justice. Gospel-centered counseling seeks to address sin and engage sinners in numerous caring ways. It offers God’s confrontation of sins, encourages repentance of sins, presents God’s gracious forgiveness in Christ, and shares God’s powerful path for progressive victory over sin (1 John 1:8-2:2; 2 Corinthians 2:5-11; Colossians 3:1-17; 2 Timothy 2:24-26). Gospel-centered counselors believe that a commitment to the sufficiency of God’s Word results in counseling that demonstrates the relevancy of God’s Word. Gospel-centered counseling seeks to offer a practical approach to daily life that is uniquely effective in the real world where people live and relate (1 John 3:11-24). By instruction and example, the Bible teaches foundational methodological principles for wise interaction and intervention (Acts 20:26-37; Galatians 6:1-5; Colossians 1:24-2:1). Within the Bible’s overall guidelines for the personal ministry of the Word, there is room for a variety of practical methods of change, all anchored in applying scriptural truth to people’s lives and relationships. The Bible calls us to use wise methods that minister in Christ-centered ways to the unique life situations of specific people (Proverbs 15:23; 25:11). We are to speak what is helpful for building others up according to the need of the moment, that it may benefit those who listen (Ephesians 4:29). Gospel-centered counselors believe that Christianity is missionary-minded by its very nature. Gospel-centered counseling should be a powerful evangelistic and apologetic force in our world. Gospel-centered counselors want to bring the good news of Jesus and His Word to the world that only God can redeem. Gospel-centered counselors seek to speak in relevant ways to Christians and non-Christians, to draw them to the Savior and the distinctive wisdom that comes only from His Word (Titus 2:10-15). Gospel-centered counselors want to present the claims, mercies, hope, and relevance of Christ in a positive, loving, Christ-like spirit (1 Peter 3:15). Gospel-centered counselors seek to engage the broad spectrum of counseling models and approaches. We want to affirm what is biblical and wise. Where we believe models and methods fall short of Christ’s call, we want to critique clearly and charitably. When interacting with people with whom we differ, gospel-centered counselors want to communicate in ways that are respectful, firm, gracious, fair-minded, and clear. When we perceive error, we want to humbly point people forward toward the way of truth so that we all become truer, wiser, and more loving counselors. Gospel-centered counselors want to listen well to those who disagree with us, and we want to learn from their critiques. Our mission to spread the truth and fame of Jesus Christ includes a desire that all counselors appreciate and embrace the beauty of a Christ-centered and Word-based approach to people, problems, and solutions. Gospel-centered counselors are committed to generating a unified effort among God’s people to glorify Christ and multiply disciples through the personal ministry of the Word (Matthew 28:18-20). Gospel-centered counselors trust in Jesus Christ in whom grace and truth are perfectly joined (John 1:14). Gospel-centered counselors cling to God’s Word, in which truth and love live in perfect union (Ephesians 4:15; Philippians 1:9; 1 Thessalonians 2:8). Gospel-centered counselors love Christ’s Church—living and speaking gospel truth in love, growing up in Him who is the Head, and building itself up in love as each part does its work (Ephesians 4:15-16). We invite you to join us in seeking to equip God’s people to promote personal change centered on the person of Christ through the personal ministry of the Word—gospel-centered biblical counseling.